Vegetable fats (palm, coconut), modified maize starch, rapeseed oil, skimmed MILK powder, salt, sugar, MILK proteins, maltodextrin, dried EGG yolk, LACTOSE, emulsifier (sunflower lecithin, mono- and diglycerides of fatty acids), flavourings (contains MILK, CELERY), thickeners (guar gum, xanthan gum, locust bean gum), pepper. 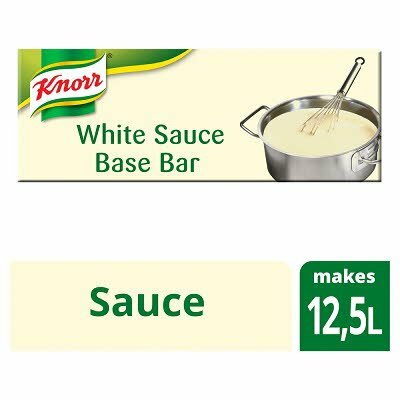 Add White Base Sauce to hot or cold water as per product to water ratio show on the pack. Bring to the boil and simmer for 1 to 2 minutes, stirring occassionally.